HEROCLIP – Review & Giveaway! | Finding delight. 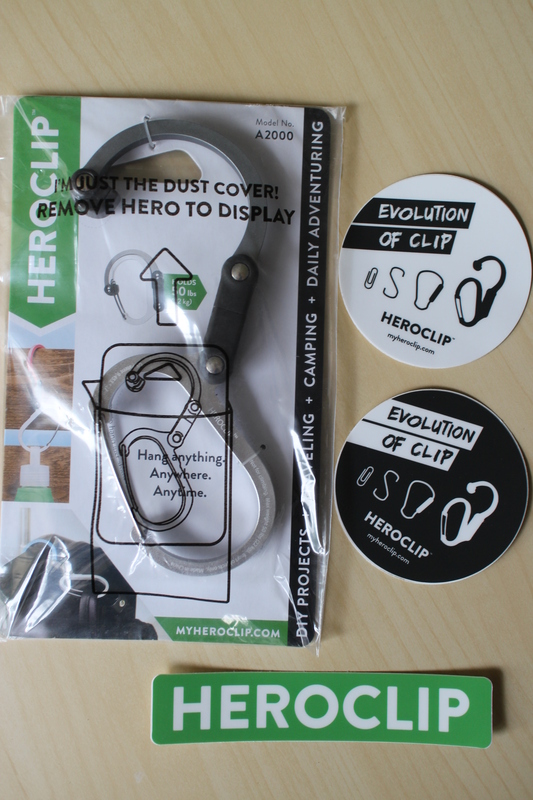 HEROCLIP – Review & Giveaway! If you’re around these parts long enough, you’ll learn I have an obsession with turning the day-to-day into endless opportunities for adventure. I love travel and the outdoors and exploring new-to-me places. Which means I’m always on the look out for products which will facilitate my whims! 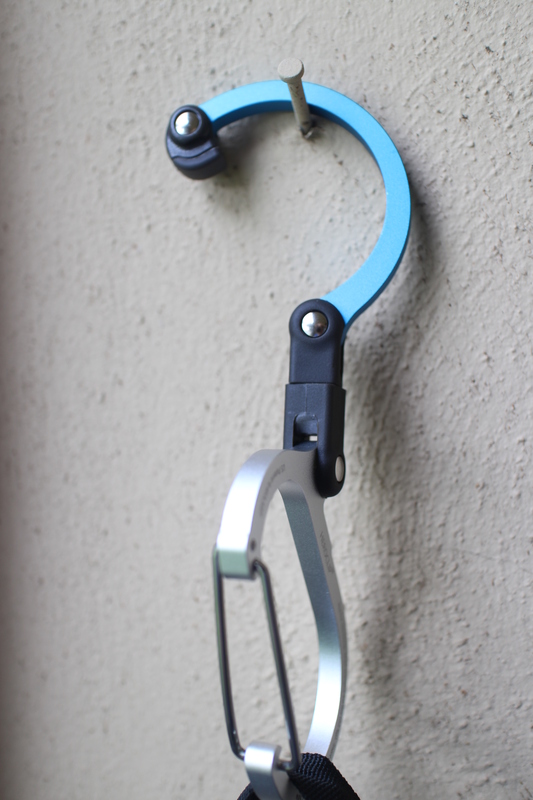 Heroclip is a fully functional clip, with a rotating, folding hook. 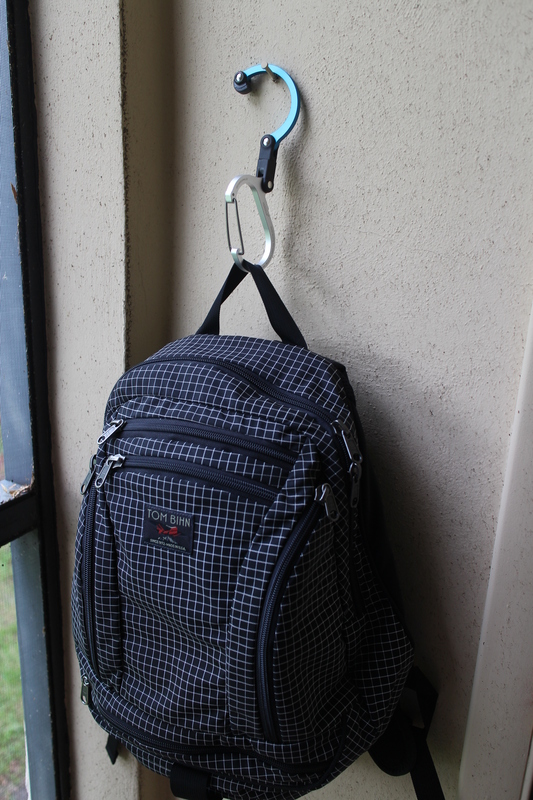 Meaning- you can hang your bag, water bottle, hat, beach towel, etc. off of just about ANYTHING. Hang your backpack off of the nearest tree branch on a picnic. Hang your purse off the table at your favorite dive bar. 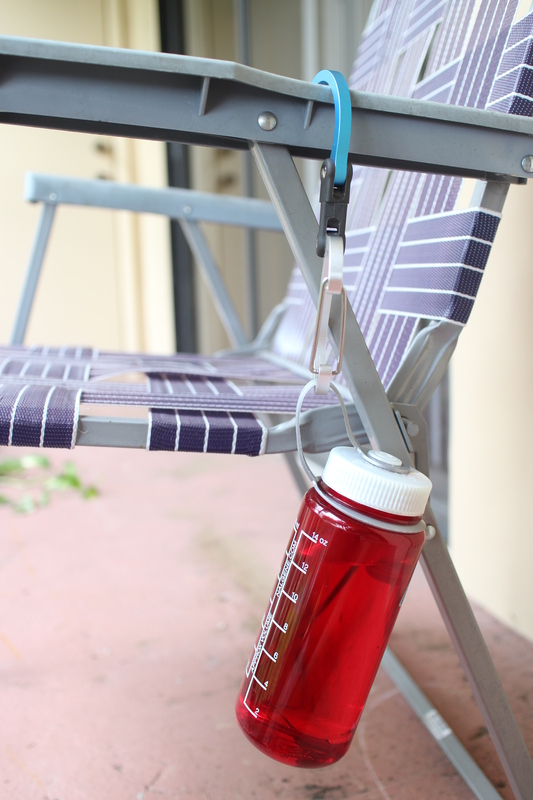 Hang your water bottle off your exercise bike. Hang your day bag off your wheely suitcase as you whisk it through the airport. YOU GET THE IDEA! Bonus: Outside Magazine featured Heroclip in their Top 5 Gear Under $25. Since I’m down here in South Florida, I love using my Heroclip to keep my tote bag off the ground at the pool. (LIZARDS!) It’s also great if you have items at the beach that you don’t want to get sandy. But my #1 reason for always having a Heroclip on hand?! SKETCH BATHROOMS WITH NO PLACE TO HANG A BAG! If you’re traveling with all your worldly possessions in a single backpack, the LAST thing you want is to set that backpack in a puddle of pee. AMIRITE?! –and leave a comment below telling me the last place you traveled to! I’ll choose a winner (randomly) next Tuesday, 10/10/17! (United States only.) Good luck!! This looks so cool! I could actually imagine using it attaching the diaper bag on the stroller haha. Shame I’m not based in the US! But I can see so many uses with this clip! Especially when I travel!! Dude this thing looks so handy! I would use it everywhere! Oh, I definitely like to take a Heroclip with me my next trip and not only. Looks so practical and I have that problem too when entering a bathroom and don’t have a place to hang the bag – feels so uncomfortable to keep the bag in my hand. I didn’t even know it exists such items, thanks for sharing the information. I traveled to Minnesota just last week and this would’ve come in handy at the airport (mostly MIA)! Every now and then the bathrooms lack purse hooks and its TONS OF FUN to try to use a toilet with your bag still on you.